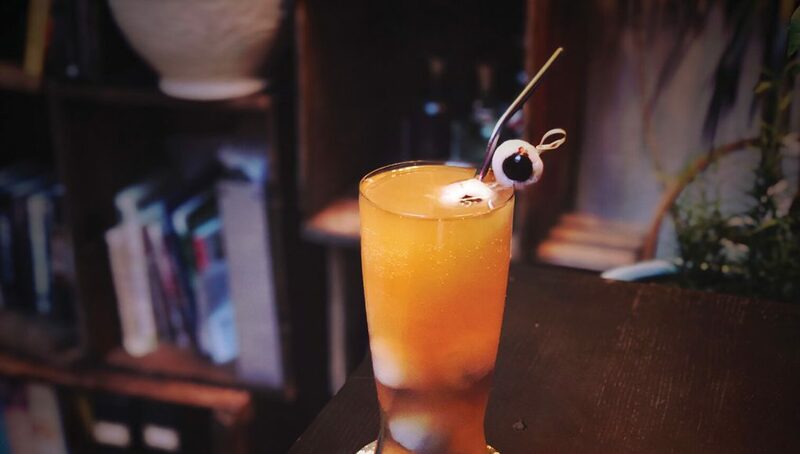 There are several parts to this normally simple drink, but the work is well worth the creepy outcome. Who doesn’t want to look like they are drinking from a vessel filled with eyeballs? This is a truly delicious and fun drink to make for a Halloween party. 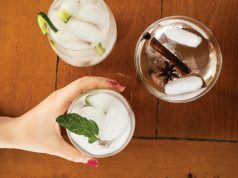 The first two parts—the eyeball ice cubes and the lime simple syrup—should be made ahead of time. You’ll need a can of lychees—a summer fruit native to southern China, which can be purchased in cans year-round, especially at Asian markets. To make the ice cubes, pour the syrup from the can of lychees into a pot with the freshly peeled ginger, heat to a boil, then remove from the heat, cover and let sit for 30 minutes. Then, stuff a cherry into each lychee for the eyeballs and put each one into an ice cube tray. Set aside a couple lychee eyeballs for the garnish. Pour the lychee and ginger syrup into the ice cubes tray and freeze for at least 5 hours. For the lime simple syrup, stir the sugar and lime juice until the sugar is fully dissolved and store in the fridge until you’re ready to make cocktails. 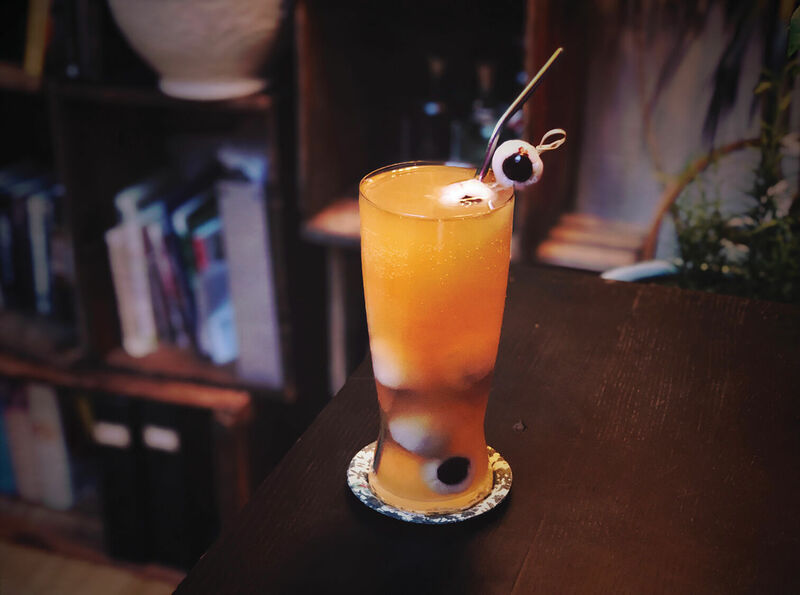 When your eyeballs are fully frozen, mix 1/4 part lime simple syrup with 1 part dark rum and carefully place in a few frozen lychee eyeballs. Slowly pour over 3 parts ginger beer and garnish with a couple extra lychee eyeballs. Jessie Lacey resides at the heart of downtown Portland with her border collie puppy Josie, making cocktails and trouble.